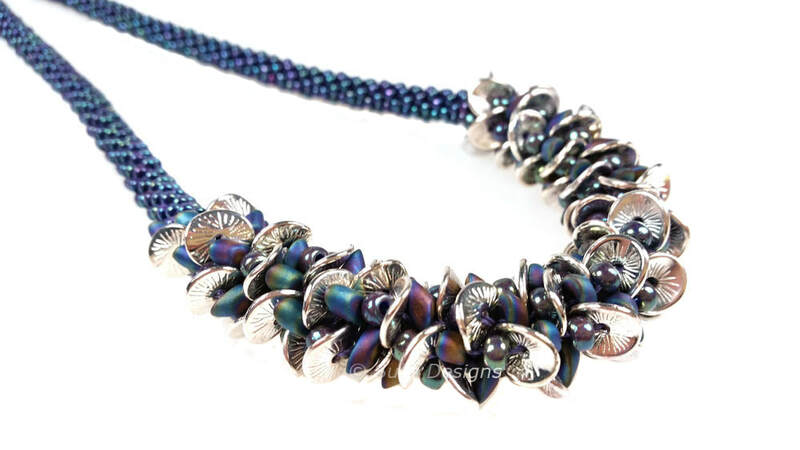 As well as creating my own jewellery, I also teach Kumihimo braiding jewellery classes at various local bead shops, beading groups and for private individuals. * 1-1 tuition for a full day in your location. This could cover general braiding techniques or a specific pattern. All materials and equipment can be provided, so this is a good option for a beginner wanting to start braiding. * Tuition for a small group such as a beading group wanting to try something different or even a jewellery making party. Generally 2 - 3 hours with materials and equipment provided. 23rd March 2019, Court Street Gallery, Trowbridge. ​30th March 2019, Corsham Crafty Hub, 17 Pickwick Road, Corsham, SN13 9BQ. ​4th May 2019, Tanzee Designs, Wootton Under Edge.